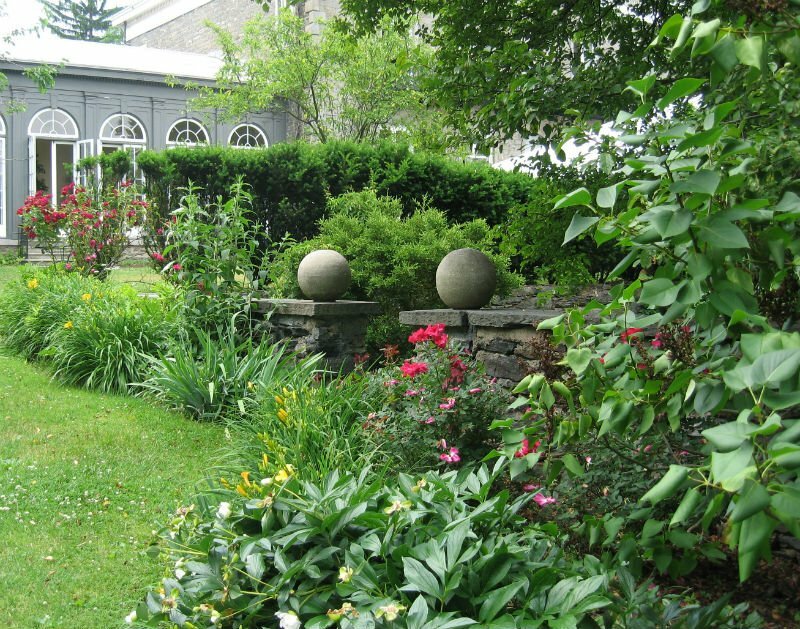 Bartow-Pell Mansion Museum, the hidden jewel within Pelham Bay Park, is the ideal location for a story-book wedding, engagement party, bridal or baby shower, reunion, or other special event. Dating back to 1836, the landmark-designated Greek-Revival mansion reflects the grandeur of a by-gone era. The formal gardens designed by Delano & Aldrich din 1916 a splendid backdrop for an outdoor event. Schedule an appointment to discover how you can create a truly unforgettable experience for you and your guests. Contact us at 718.885.1461 or e-mail info@bpmm.org. Tent with dance floor, twelve 60” round tables, five buffet-style tables (36 x 60 inches); caterer’s cook tent (10 x 10 feet); portable restroom, folding chairs. Five hour event plus an additional one hour of prep time immediately preceding your event, and an additional hour of clean-up by your caterer, wait staff, or event-planner immediately following your event for a total of seven hours. Set-up to be arranged during administrative hours: Monday-Friday 9 a.m. to 5 p.m.
Four hours plus an additional one hour of prep time immediately preceding your event, and an additional hour of clean-up by your caterer, wait staff, or event-planner personnel immediately following your event. Set-up to be arranged during administrative hours: Monday -Friday 9 a.m. to 5 p.m.
Three hours plus an additional one hour of prep time immediately preceding your event, and an additional hour of clean-up by your caterer, wait staff, or event-planner personnel immediately following your event. Set-up to be determined and mutually agreed upon. Two and half hours which includes set-up and break down by your assignment. (In the case of inclement weather, the ceremony may take place in the conservatory and the bridal party will have access to the parlors and entrance hall for their photography session). Bridal-party photography session to be held immediately following or preceding the ceremony. Two and half hours which includes set-up and break down by your assignment. (In the case of inclement weather, the ceremony may take place in the conservatory and the bridal-party will have access to the parlors and entrance hall for their photography session). For larger events with 50+ people, set-up must be done during administrative hours, Monday through Friday between 9 a.m. and 5 p.m. Caterers are allowed one hour of prep time immediately preceding your event, and one hour of clean-up time following your event. Additional time for your event is available at an hourly rate. We ask that your event end no later than 11 p.m. There is no smoking allowed anywhere on the grounds. The use of candles, sparklers, or open flames is strictly prohibited. Food and beverages are restricted to the conservatory. Drones are not permitted in Pelham Bay Park. For events over three hours in duration, your package also includes up to six hours of set-up time, to be scheduled during administrative hours Monday through Friday, 9 a.m. to 5 p.m. On the day of your event, the site will be available to you, your caterer, and other vendors one hour prior to your event for last minute prepping. Should you or your vendors require earlier access, or additional time to set up on the day of your event, an hourly fee of $500 will apply as per the contract. We are happy to work with you on all these details to ensure a smooth and stress-free event! You and your caterer are responsible for clean-up following the event. Tables must be broken down, chairs stacked, kitchen surfaces wiped clean, and trash removed to the designated area as part of clean-up. If you wish to serve alcohol-beer, wine, champagne, hard liquor — you must make arrangements through a licensed and insured caterer, as mandated by NYSLA. You may also obtain a one-day beer and wine permit through NYSLA. Our staff is happy to provide you with additional information. Free on-site parking is available for up to 40 cars. Off-site parking is also available at Pelham Bay/Split Rock Golf Course with prior arrangement. $500 (refundable) for event with 50 people or more. $250 (refundable) for smaller events. Bartow-Pell requires all individuals and organizations holding catered events at the mansion to obtain special event insurance and submit this to Bartow-Pell Mansion Museum ten days or more prior to the event. We can assist you with obtaining the proper documentation.